Fast charge your Qi-compatible devices at upto 10W. 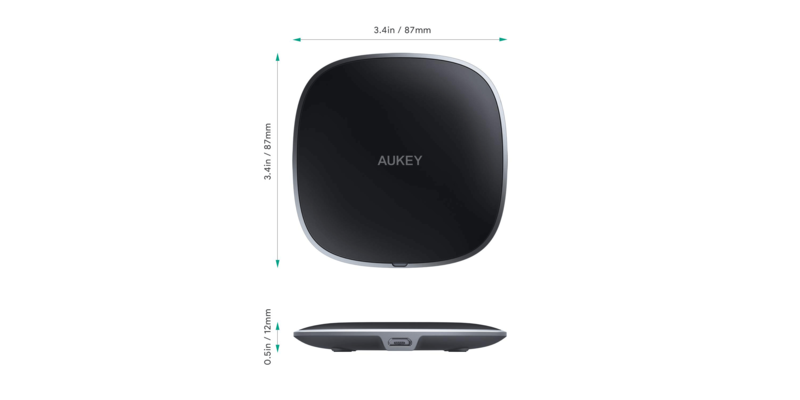 With soft TPU charging surface and elegant metallic edge, this slim & compact wireless charger looks great on any desk or nightstand. Safety features ensure temperature control, foreign object detection, and power input monitoring. Works with all Qi-enabled devices, even through most cases (thickness less than 3mm/0.12”).